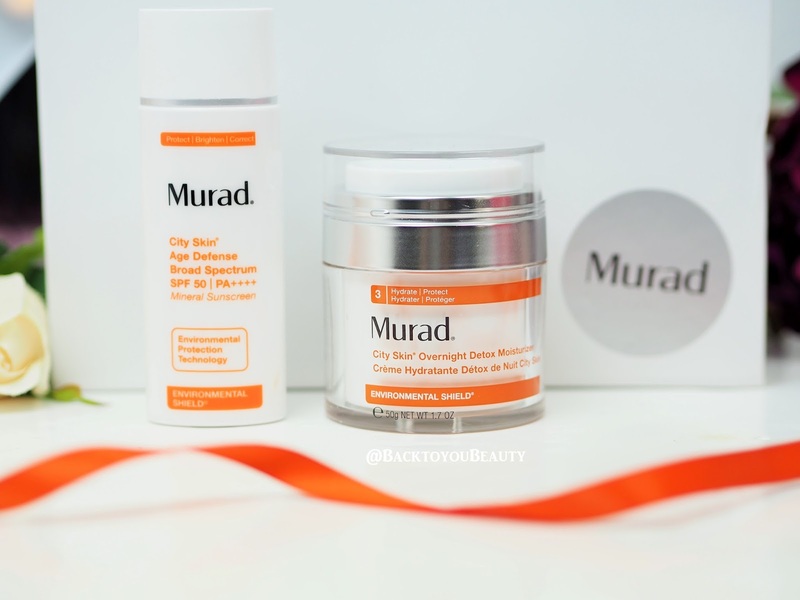 I have been a huge fan of Murad Skincare for many years. If you have ever had the pleasure of listening to Dr Murad, you will know that not only is he an incredibly accomplished skincare expert, but also a amazingly positive, upbeat, uplifting, happy, human being. 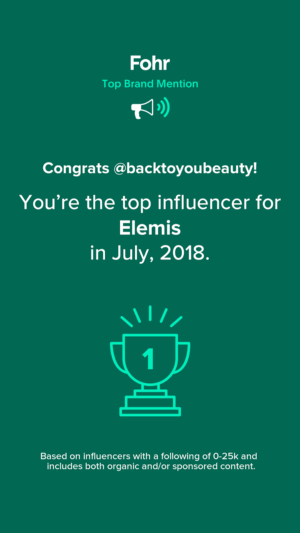 When someone like that imparts their wisdom and love, as well as a huge mountain of knowledge into a skincare range, you know it is one you need to learn more about. 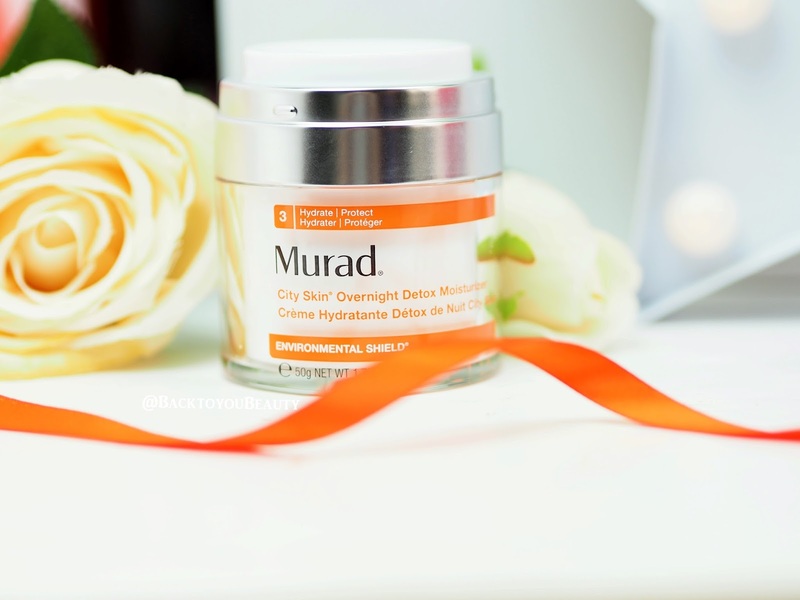 For me, Murad is a skincare range I turn to when I want immediate results. It’s a bit like my first aid skincare range. I have my everyday products that I use and love but when my skin needs some extra care and attention, I always turn to this brand. Imagine my delight when I was sent the recently launched City Skin collection to trial. This is the designer handbag of skincare, for anyone that is addicted to technology. Perfect for when your skincare needs an upgrade. Having been using this solidly for a good five weeks or so, I thought I would share my findings with you. An incredibly sophisticated and unique product, City Skin Age defence, is in my opinion, a must have for anyone that spends a lot of time in front of a screen/mobile phone/laptop or is exposed to the elements on a regular basis. 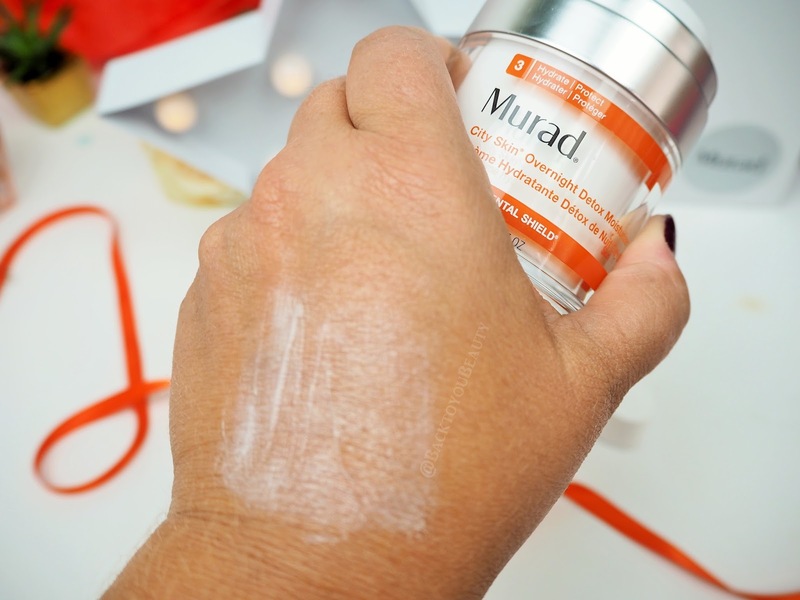 Firstly, as it is an SPF50 (and everyone should be wearing SPF daily), this incredibly light, pale, orange lotion is perfect for everyday use. 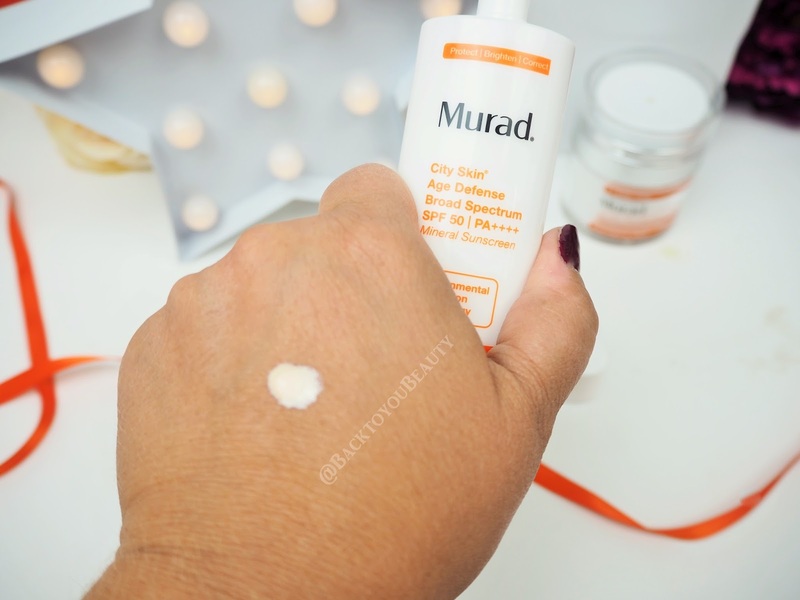 A technologically-advanced, ultra-light, 100% mineral sunscreen that features Dr. Murad’s Enviromental Protection Technology, this cleverly shields the skin from the five main cause of damage. Lutein is a potent antioxidant that protects the skin from Blue Light emitted from computers, tablets and phones and if like me you use one or the other most of the day, this is something you should consider as it can really accelerate the ageing process of the skin. Polymer Matrix a breathable ‘second skin’ blocks the penetration of environmental issues. Iron Oxides protect against Infrared radiation and helps to brighten the skin, Zinc Oxide and Titanium Dioxide protects against UVA/UVB rays without chemicals. Phew! Now there is a lot going on in that bottle. 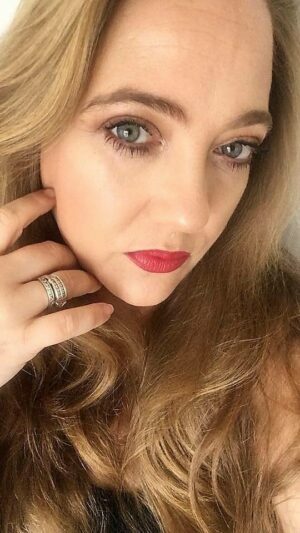 What I will tell you is that it takes seconds each day to apply a thin layer to the face, neck and décolleté and it sinks in beautifully on the skin. I apply it every morning after my skincare regime and before my make up. It doesn’t create any roll off, sits beautifully on the skin, brightens it and also acts as a wonderful primer. This is a very easy way to completely protect your skin and I would really recommend it. This moisturiser is so unbelievably clever and works like an absolute dream especially on my dehydrated, mature skin that can look a little sluggish at times. This night time moisturiser detoxifies the skin and neutralises the pollutants that have accumulated during the day. For me, the thing that sealed the deal was the inclusion of Next-Generation Vitamin C. Vitamin C works so well on my skin to help with my pigmentation issue and using this during our recent mini-heat wave has been a bit of a game changer for me. I have had so many compliments this past few weeks on how lovely and bright my skin looks and I completely put it down to using this product. Thanks to a botanical blend of Sunflower, Cucumber and Barley, my skin has felt deeply nourished upon waking and really fresh and healthy. I am beyond impressed. For me, this range has been an absolute skin care saviour, especially as I mentioned above, using it through some incredibly sunny and hot days. 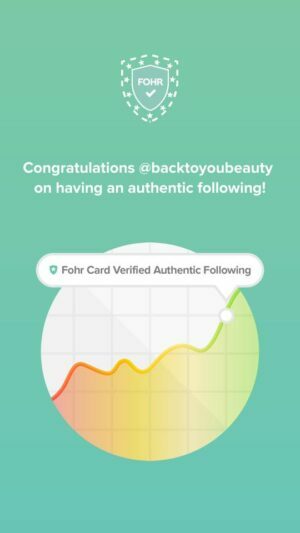 My pigmentation has been completely controlled and not flared up as much, and my skin looks and feels bright, glowing and hydrated. This is definitely a regime I am thrilled to have been able to try and would recommend to anyone that is near digital devices often. I look forward to trying more from this range. 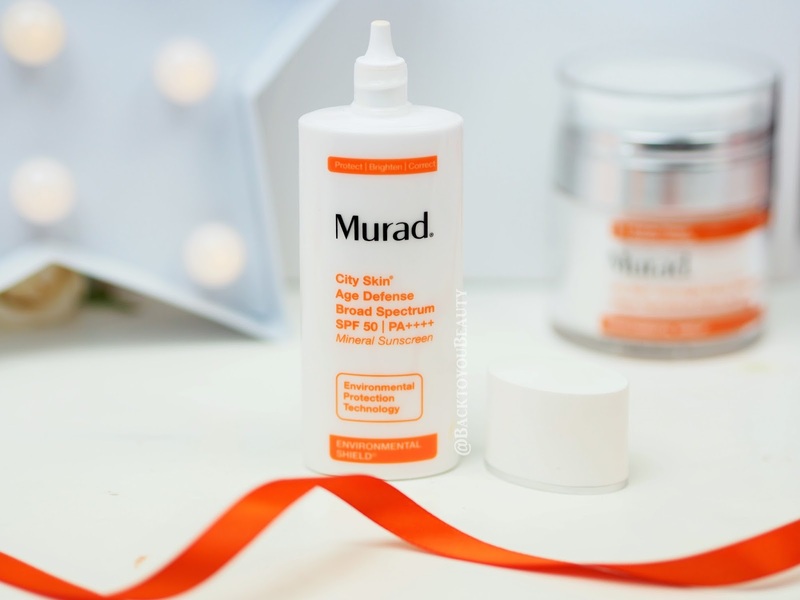 These products are being launched throughout June and July in selected John Lewis, House of Fraser and Debenhams as well as online with Murad HERE. It all looks so good! I really want to try it! You are making me want the overnight one!!! 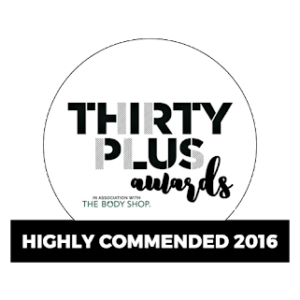 I have only tried a few products from this brand and they are such amazing quality. An overnight detoxifying product sounds really interesting!